Over 10 million wild fish return to the Skeena in peak years, including 80,000 steelhead. 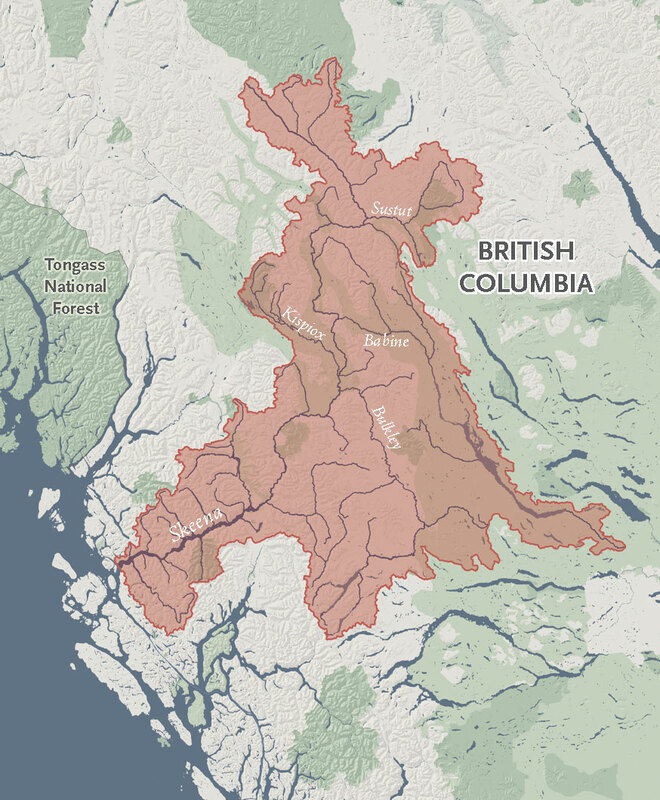 Distance traveled to the Upper Sustut, a Skeena tributary, by returning spawning steelhead and salmon. The Skeena is British Columbia’s most remarkable steelhead river, with vast, dynamic tributaries and summer-run fish that run from July to November. Judicious management rules, including required catch-and-release fishing, have helped protect these iconic runs. They call it “Mother Skeena.” British Columbia’s second-longest river nurtures those who live along its banks and stokes the passion of anglers who fish its mainstem or famed tributaries—the Morice, Bulkley, Babine, Copper, Kispiox and Sustut. One of the world’s most prolific wild salmon and steelhead corridors, the undammed watershed ranges across an area the size of Switzerland and serves as spawning ground for six salmon species, including the largest Chinook and steelhead ever recorded. 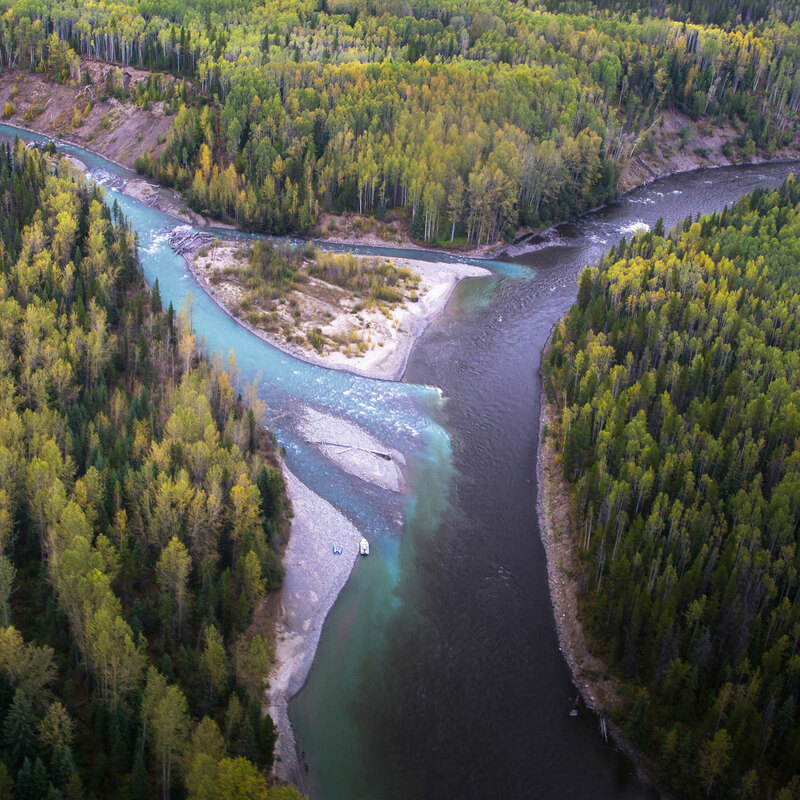 Together with SkeenaWild Conservation Trust and local First Nations partners, The Stronghold Fund aims to conserve the natural functions of the river and restore wild fish runs toward historical abundance. Recently the Skeena coalition focused on protecting the Skeena’s estuary, where the river’s juvenile fish rear, against an onslaught of oil and gas development projects. The Stronghold Fund’s goal is to support SkeenaWild and other partners working in the Skeena to galvanize permanent habitat protection for the Skeena estuary and other targeted activities that conserve the watershed’s outstanding wild fish populations for the long-term. A generation of grassroots conservation has kept the Skeena intact. But the region now sits between Canada’s vast petroleum reserves and Asian markets.